A seat of black and bright hair not only represents beauty, but also shows our individuality. Choose west kiss hair, choose your beauty! For your desired look, the first thing you should know is how full you want to look like. It equals that you need to make sure the amount of bundles, the length of the hair, the texture of the hair, the size of your head and closure or frontal you will use. First,let’s consider the length of the hair? As we all know, every West Kiss bundle weight 100(+-5)g. That means the longer length bundles you want, the more hair you will need. Now，please see the chart below. You will find the shorter the bundle, the fuller the weft. Usually, we suggest that you order 2 bundles for 10 inches, 3 bundles for 12-20 inches, 4 bundles for 22-30 inches if other factors are same. 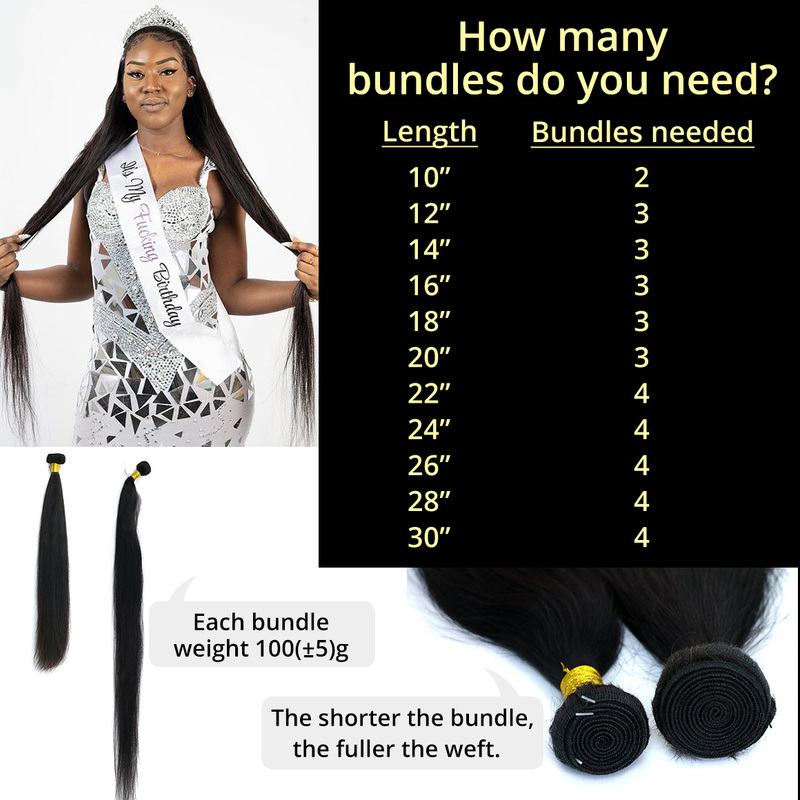 If you’re going to order longer lengths than above ,please make sure you get enough bundles，sometimes one more bundle，sometimes two more bundles. Secondly, you need to think about is the texture of the hair when making a decision about how many bundles you need .Which weave do you like? As we all know, straight hair can appear less full than other textures. Like curly hair , water wave hair and deep wave hair. We will really suggest one more bundle to make the hair appear thicker when you want to buy straight hair. For example, we would definitely recommend 4 bundles if you're going for 22"-28". Thirdly, which one do you prefer between closure and frontal? For this factor, it depends on the hair style you want. A lace closure is a hairpiece that is usually made of lace or silk lace. The hairpiece is attached to a cornrow base and secured around the perimeter in order to help protect your hair and improve its look. 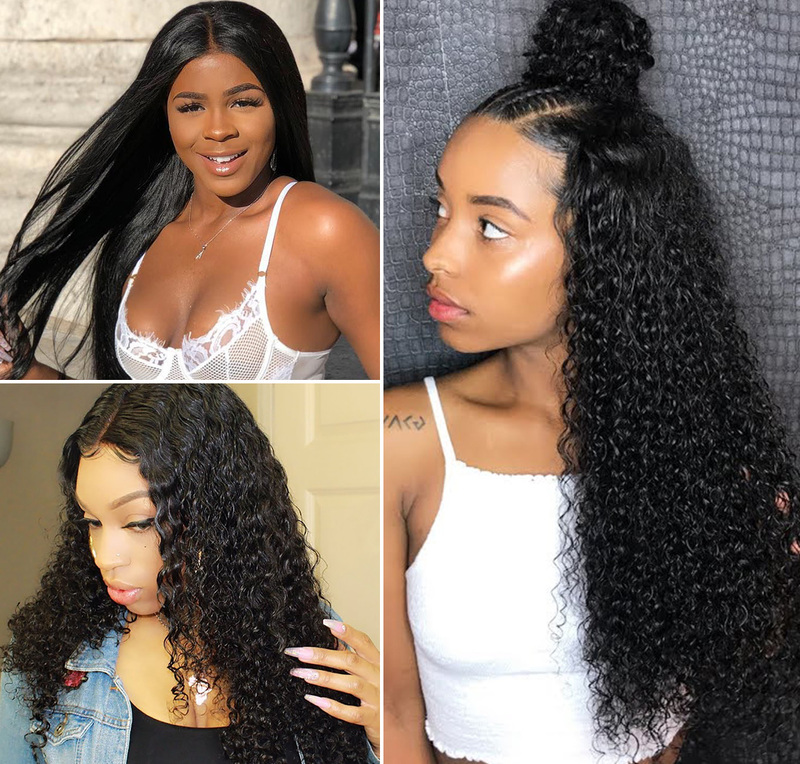 However, lace frontal spreads from ear to ear and range from there is only one part of having the option of parting your frontal anywhere you like. 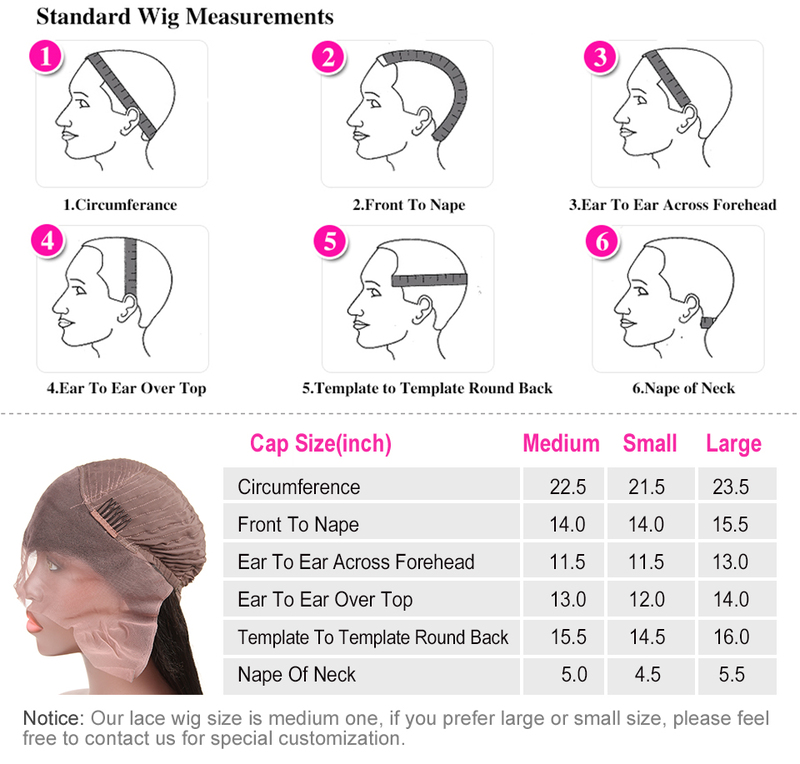 The lace frontal will cover a large portion of your head. Generally speaking, you are going to need 3-4 bundles with closure/frontal. What if your head is above or below the average size of a lady’s head? You have to consider head size. In the US, the average size of a woman's head is 22.5". Usually, most people fall in the same category and require the same amount of bundles. You will need to adjust the amount of bundles you purchase to accommodate that if your head is bigger or smaller.